In a court of law, generally, character evidence is not admissible. This principle reflects one of the differences between evidence in a court of law and evidence in the “court of public opinion.” In a court of law, we exclude many kinds of evidence upon which people ordinarily rely in everyday life: hearsay and character evidence, for example. The general evidence rule excluding character evidence recognizes decisions should not be based on the kind of person involved or how he may have acted in the past. Rule 404(b) creates an exception of sorts to this general rule excluding evidence of a person’s character. It allows the use of evidence of a person’s specific acts to prove a pertinent issue in a case, such as identity, motive, and opportunity. Over time, Rule 404(b) has come to be characterized as a rule of inclusion limited only by the restriction that it not be sued to prove propensity. It often confounded me that professors of evidence often did not see the problematic nature of characterizing this rule as one of inclusion. After all, Rule 404 itself states that character evidence is inadmissible. And with Rule 404(b) being embossed in Rule 404, it seemed counter intuitive to characterize it as a rule of inclusion. Over time, I came to realize that evidence professors did not charge my disdain for this interpretation because they recognized the inclusive nature of Rule 404(b) was circumscribed by the overarching constraints of relevance and potential for unfair prejudice. And those points were often overlooked or shoved to the side when J.R.’s earlier marital indiscretions were offered against him. Recently, the Court of Appeals described a three-step process for determining whether evidence is admissible under Rule 404(b) in State v. Golden. The evidence (1) must be relevant for some purpose other than showing the defendant has a propensity to do the act for which he is on trial; (2) this purpose must be relevant to a material issue in the trial; and (3) the probative value of the evidence must not be outweighed by unfair prejudice to the defendant. That’s all well and good, but what does it mean? It means we have to maintain a focus on the notions of relevance and unfair prejudice. How do we do that? It seems to me we ask these questions: (1) What fact is evidence offered to prove? (2) Is that fact of consequence to the case? (3) Is the fact made more or less probable than it would be without the evidence? (4) Is probative value of the outweighed by its impact on the trial? Connie Widenhouse (my better half) and I have written about this analysis in some detail. The Golden court articulated the correct guiding point, although it ultimately found the evidence admissible because it was necessary to set the stage for or explain the context of the crime. That’s perhaps something for a future post. For now, it is important to keep in mind the three-step process for admission and focus our arguments accordingly. The difference between a fact of consequence to a case and propensity is often elusive. Ol’ J.R. knew that for sure. 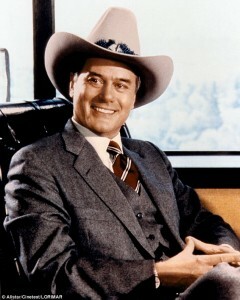 RIP, Larry Hagman.